If you stream a lot, you probably have headphones, speakers, and any number of other audio devices which you frequently switch between. There’s a lot of clicking involved, and I for one can’t stand it. Wouldn’t it be nice if there were an easier way? 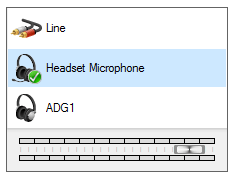 Does what it says on the tin – click an icon in the system tray and switch easily. 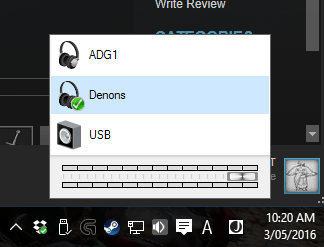 You can also use it to switch default input/recording sources by Ctrl+Click on the icon. 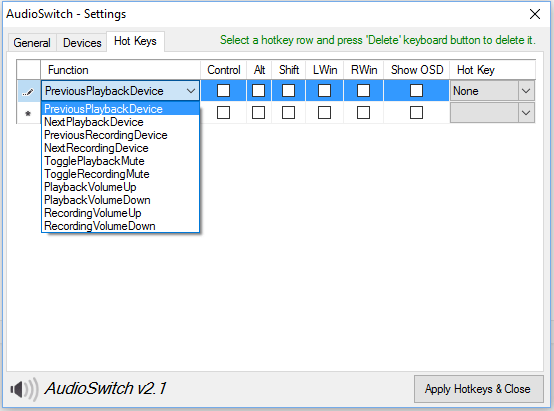 If doing things on the fly is your jam, there’s also a functional hotkey system for when you really don’t want to click out of what you’re doing. Simple, straight forward, and can still take you straight back to the traditional playback devices menu if you still really want to go there for some reason.